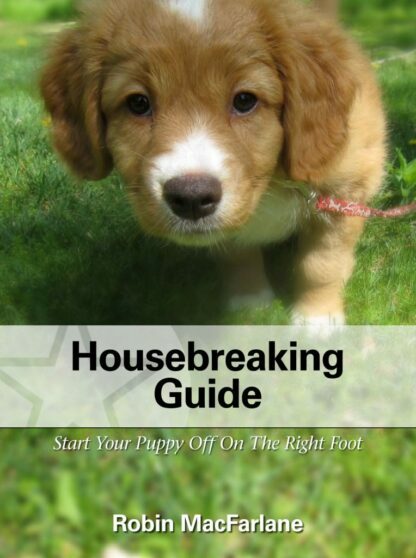 e-book Housebreaking Guide by Robin MacFarlane - That's My Dog! Housebreaking Guide – Start Your New Dog off On The Right Foot. This is a downloadable e-book written by Robin MacFarlane. Start Your New Dog off On The Right Foot. Congratulations on your new dog! You are embarking on a new adventure of sharing your life with a delightful companion. It is our goal to help you have the best relationship possible so that you and your friend can enjoy many fun years together. The advice in the booklet can be followed whether you have an eight week old puppy or have adopted a mature dog.